Москва – Комнаты в Москва. Карты для Москва, Отзывы и Фотографии для каждой комнаты в Москва. Ищете хостел, недорогую гостиницу, квартиру, комнату, ночлег и завтрак, пансион или гостевой дом - Москва? 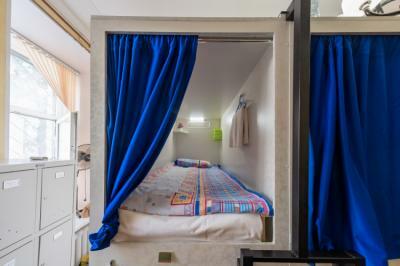 Нет необходимости искать дальше, все лучшие предложения - Москва на ru.Dorms.com. Как и тысячи людей каждый месяц, зарезервируйте ваше проживание в хостеле заранее, безопасно и по самой выгодной цене во всех районах Москва: в центре города, модных и студенческих районах, недалеко от автобусной станции, метро, железнодорожной станции, аэропорта или недалеко от всех достопримечательностей - Москва. 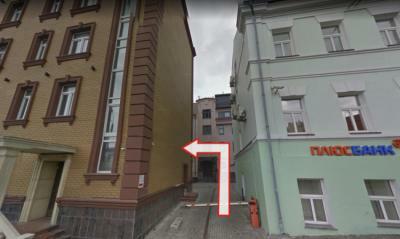 The hostel is located in the center of Moscow. Within walking distance from the metro 3 minutes. Located in a historic building. Red square is 10 minutes away by metro. 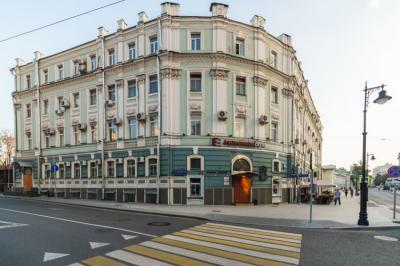 International House of Music and Moscow river's embankment are a 10-minute walk from the hotel. International Airport by Aeroexpress in 35 minutes Yevropeysky Shopping Centre with various shops, cafes and restaurants is located a 2-minute walk from the property. Moscow City business area is a 10-minute metro ride away. When you go through the arch in our courtyard, you can see a breathtaking view of Moscow. Atrium a famous shopping mall and entertainment centre with multiple cinemas, restaurants, supermarkets and international shops, is located right in front of the hostel. We have comfortable colourful rooms that are suitable for short-term as well as long-term stay. Sheremetyevo, Domodedovo and Vnukovo airports are a 35-40 mins Aeroexpress ride away from Belorusskaya, Paveletskaya and Kievskaya railway St. Perfect location. Clean and comfy. Nice and friendly staff. Great location - next to the train station and the metro, close to a supermarket. Clean and comfortable. Close to the metro 5-7 min walk. The hostel is small & cozy. Met, put to bed. In the morning, a shower and breakfast,choice of porridge, sandwiches with cheese, homemade jam. kind and generous aunt Natasha in Russian. I really liked it. Thank you! Близко к метро 5-7 мин пешком. Хостел небольшой, уютный. Встретили, уложили в постельку. Утром душ и на завтрак каша, бутерброды с сыром, домашнее варенье, добрая и по-русски щедрая тётя Наташа. Мне очень понравилось. Спасибо! Clean place, comfortable beds, fresh linens, great location, kind people. Perfect location, close to the metro and everything else - cafes, shops. Awesome staff, so nice and helpful. Quiet, and cozy. Beds were clean and the place, overall is clean, not spotless, but clean. Would recommend, esp for the price at the location. Hostel located in the center of Moscow with many cafes, bars, pubs and supermarkets in the walking distance. 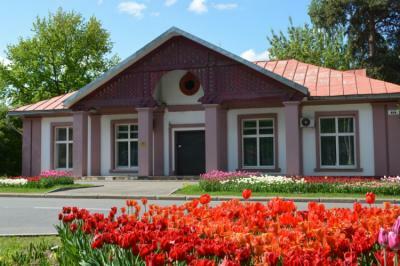 The Clean Ponds (Russian: Chistye Prudy) area nearby provides quiet, beautiful corners of the nature where you can have a nice walk in the summer or have fun at the skating ring in the winter. Red Square is 2 km away, while Lenin Mausoleum is 2 km. Basmanny is a great choice for travellers interested in trail walking, street musicians and street food. Не много происходит во время нашего пребывания, поэтому, вероятно, хорошо для тех, кто ищет более спокойное место. Расположение не лучшее, но выровнено близостью к продуктовому магазину и метро. Лучший хостел когда-либо !! Спасибо Мэри !! Мы очень хорошо проводим время в общежитии джедаев. Good location. The bathroom was spacious and clean, and with good water pressure. We loved the privacy. People were polite and quiet. I am glad and satisfied. Very clean hostel, very polite staff, bright and fresh atmosphere, good common area/room. We enjoyed and we will go back. The hostel has really great surrounding: - large botanic garden (331 Ha); - fishing docks; - horse ridings; - a lot of exhibitions of VDNKh; - amusement park; - a lot of cafes and restaraunts; - bicycle and roller blades stations; - the largest in Russia openair rink (but only from december till april). There are a lot of cafes, minimarkets, shopping centers, offices of banks around the hostel. The staff are awesome! It felt like home, that I just went to visit a relative. Yes, that kind of feel. The room is clean, and very cozy. The kitchen is fully equipped and and the bathroom are nice and clean. Its just 20 minutes to metro VDNH, there are nearby cafes and deli. Its just lovely. Simple, clean, with a full kitchen. Located in the middle of Moscow's principal attractions, but with a quiet and calm surrounding. No fue como esperaba, el ambiente no era bueno, etc. I've read a lot of reviews, but chose to book here since the place I need to be at is close by. Anyway, I was welcomed properly, the bed was fine, the room was clean, but could use some tlc. We stayed for a night, and we literally just slept, showered and left the following day. The place needs work. Near metro station Prospect Mira «Monica» hostel is located in Meshchansky district of Moscow, only 500 m away from the Olympic stadium, 2.9 km from the Bolshoi Theatre, 3.4 km from the State Historical Museum and 3.5 km from GUM (department store). 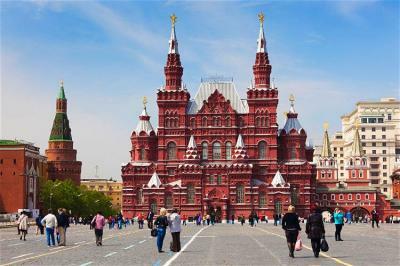 Near metro station Prospect Mira Kremlin and Red Square are about 3.5 km from the hostel Meshchansky is a great choice for travelers interested in culture, history and museums. 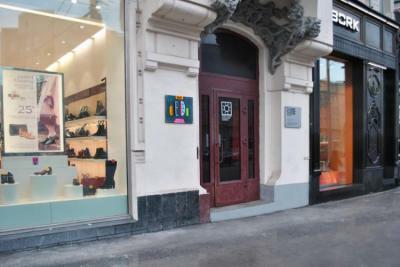 BRO Hostel offers accommodation in Moscow, a 7-minute walk of Sretensky Bulvar, Turgenevskaya and Chistye Prudy Metro Stations. Krasnye Vorota Metro Station is also a 3-minute walk from the hostel. Kazansky, Leningradsky and Yaroslavsky Train Stations are a 15-minute walk away. The nearest airport is Sheremetyevo International Airport, 31 km from BRO Hostel. Great location! Awesome people! Affordable price! Clean hostel! = wonderful and very happy guest!! Great vibes, cool hosts, very clean, full kitchen, clean and comfy beds, good price! Thumbs up! The place is clean. The atmosphere is warm and homey. The beds were comfortable. relaxing stay in a good location. Located near the metro station. The room, bathrooms, beds, were clean. The kitchen was full, and the staff were amazing! Highly recommended.